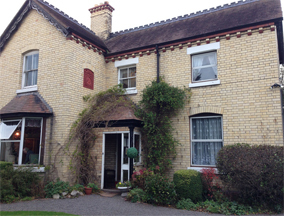 Jubilee Villa Care Home accommodates 17 residents in 11 single and 3 shared rooms. It is a converted building with a garden and was registered in 1979. It is set in a rural location which is 10 yards from the nearest bus stop, 1 mile from the local shop, 3 miles from the town centre and 1 mile from the nearest GP surgery. Residents may bring their own furniture and choose their own room decoration. There is a lot of flexibility with meals, so you don’t have to worry about not liking anything or being asked to eat too much. It is important to respect the variations in individual needs, interests, views, lifestyle, hobbies and personalities. While dementia or confusion may mean that you can no longer live alone, it should not mean any loss of privacy, dignity, respect or independence.